I’m a skateboarding & studio photographer based in Barcelona, Spain. I started in photography by taking photos of my friends while I was starting to skate. 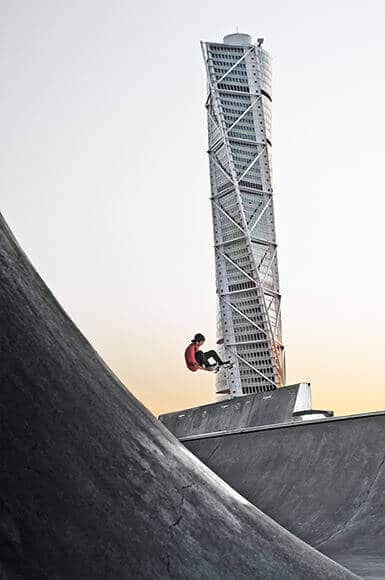 Several years later I started to work with Red Bull and different brands related with skateboarding, and I moved from my hometown of Burgos to Barcelona to study professional photography. Four years later I opened my own studio where I work in commercial, fashion, and still photography. Currently I’m using a Canon 5D Mark III with Canon grip. Canon 85mm f/1.2 : My favorite lens so far, and the reason why I moved from Nikon to Canon. I use this lens almost every day, for everything; studio portraits, fashion, commercial photography, and of course skateboarding. The bokeh this lens provides you is something just outstanding. Expensive lens, but the good things have a price. Canon 135mm f/2 : I use this lens mostly in big skateparks so I don’t have to be in the middle of the bowl with skateboarders crashing into me. Canon 50mm f/1.8 : This lens is a must, in any range of f-number. 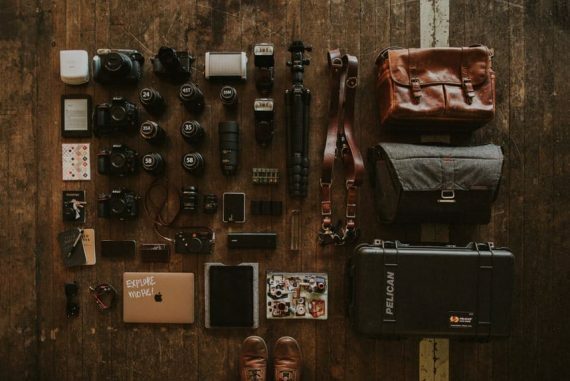 With this lens you have to be creative and move a lot to get the perfect picture. Ever since I was a photography student using analog cameras I have always had a 50mm. Cheap and sharp lens. Sigma 35mm f/1.4 Art : Last lens in my bag, I heard good things about this Art series from Sigma and I didn’t want to waste so much money in the Canon 35mm f/1.4 so I went for this. Good choice, I’m happy with the quality in general, bokeh and the solid construction of the body. I am an passionate about lighting and color management, so I always have with me the X-Rite Color Checker Passport . I also calibrate my Eizo ColorEdge CG223w monitor every 2-3 weeks in order to avoid color differences when I’m doing works where color match is critical, like Red Bull logos, some clothes, and different brands with registered color patterns. 2x Elinchrom Ranger Quadra with Action Heads : When I’m on a trip we are always moving from point A to B on skateboards, so this is the best choice. 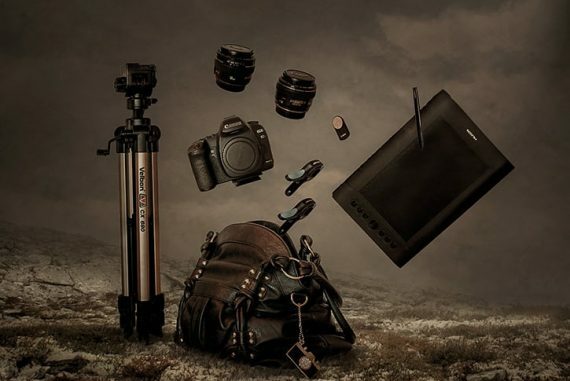 It’s light and powerful lighting equipment that you can bring with you right in your shoulder. 3x Pocket Wizard Plus II : Simply the best radio triggering system out there. I have used cheaper Chinese radios, but they always have issues. Pocket Wizard always works, no matter the distance, interferences or obstacles in between—like the big concrete walls of the skateparks. Pelican 1510 Case : The best for going around with all the equipment. It’s strong like a hammer and waterproof. I chose this model because of the wheels. Nikon Speedlight 800 & Nikon Speedlight 900 : My first lighting equipment when I was starting in skateboarding photography, even nowadays they are a good choice when you don’t want to bring with you all the equipment or don’t have access to an energy source to charge the Elicnhrom batteries. Sekonic L-308S-U Light Meter : Cheap and easy to use light meter, I use it when I work in the studio and I want to setup multiple lights fast. LaCie Rugged 2TB FireWire : For backups, the rugged covering is very good to prevent loss of your data. Sandisk CF Extreme Pro 32GB-64GB : I always use CF instead of SD even having a camera that can use both. I have had bad experiences in the past with SD so now I’m using only SanDisk CF. I’m not interested in writing speed because I never shoot sequences. Sandisk FireWire Extreme firewire reader : Fast and with an aluminum body, it will last forever. F-Stop card holder: A present from the F-Stop company in the last Photokina 2016 in Cologne, Germany. 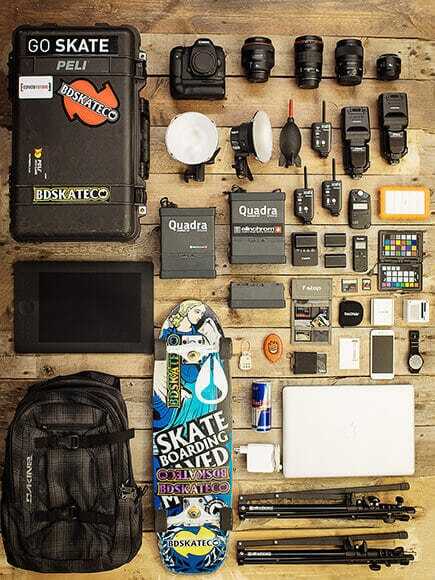 Dakine Sequence Photo Bag: A skateboarding brand doing backpacks for photographers, I love it!